Troy Anderson & The Wonderful World Band is one of the finest bands to hit The South Florida Beat. The Wonderful World Band EU is an ensemble of some of the best musicians Budapest Hungary has to offer. Troy Anderson, Lead Vocals\Trumpet. Lead Soprano 78-79 Florida Vanguards Drum & Bugle Corps, 80-81 Lead Soprano The Bayonne Bridgemen Drum & Bugle Corps, 3yrs with the 2AD (FWD) U.S Army Jazz Show Band Garlstedt West Germany. The Ohara’s Jazz All-Stars with Jesse Jones, Dr. Lonnie Smith and a host of South Florida’s Finest Bands. 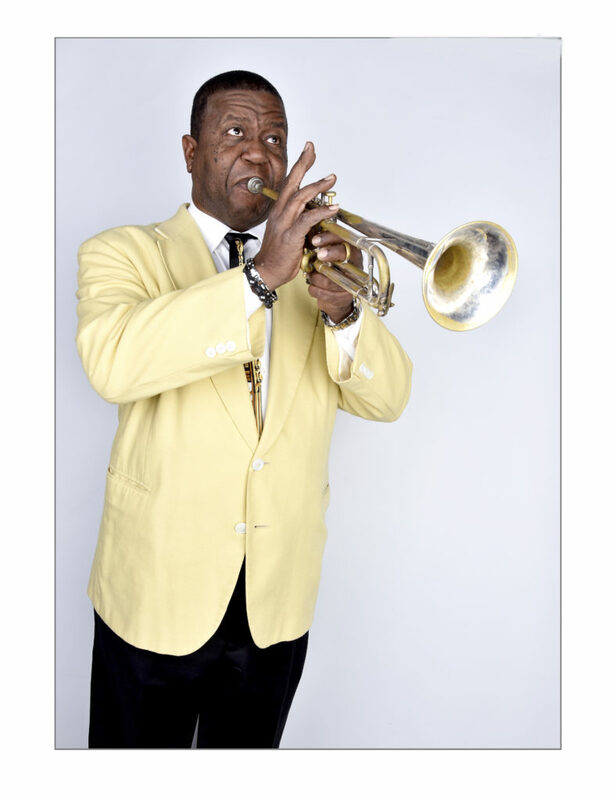 Anderson also performed and starred as Louis Armstrong with The Gold Coast Jazz Society’s Who was Louis Armstrong Jazz Series teaching the elementary student about the life of Satchmo. Kalman Cseki: Pianist- Studied at The Bela Bartok Jazz Conservatory, He has and Composed for and with Roby Lakatos group 12 years and has made several recordings with The Deutsche Grammophon label. He has also performed with The London Symphony Orchestra, The Berlin Philharmonic Orchestra, Vadim Repin, Ida Haendel, Stephane Grappelli, Randy Brecker, and Tony Lakatos and has been with Anderson since 2014. Tibor Duka: Bass- Studied music in Antwerp Belgium, Found his way to Las Vegas performing in every type of band imaginable Jazz, Funk, Rock, Pop and New World and has been with Anderson since 2016. Anderson with this lineup and you have a receipt for an Explosive night of Entertainment. Anderson and The Wonderful World Band are the 1st place Winner of The Celebrity Tribute Artist Convention Award Las Vegas 2011. Anderson is also the Winner of The 20th Annual Reel Awards Classic Crooner Award as Louis Armstrong 2011.